I found myself with 60 relevant business emails in my inbox last Wednesday, the morning before I flew out on a business trip, and I jumped over to twitter to find out if anything important was going on. Baroo? Why did my brain tell me to do that? Human editors. You follow people who by nature editorialize. You know a human is posting something that they find interesting. Redundant. Lots of people retweet the same content. So if you miss the message from one person odds are you will see someone else post it if the message is important enough. Asynchronous. You have a minute to think about it before you hit send. This time delay is key to avoiding mistakes common in real-time communication. Faulty. There is no guarantee that someone saw your last tweet. And we LIKE this fact. The imperfect delivery is a good thing. We get annoyed when someone asks “did you see my tweet?” as if it were email! I had an old boss in the early 1990s who used to not watch TV or read the newspaper. When asked how he would know if something big happened he always replied “if it’s that important, the news will come to me.” And I think he was right. When looking at the four elements above, if you change “human editor” to “biological” you have a very accurate description of evolution. Biological, redundant, asynchronous and faulty are all attributes of all living things and result in an intelligent and evolved communication method. Biological systems have a large degree of redundancy, a fact that is usually thought to have little effect beyond providing reliable function despite the death of individual neurons. We have discovered, however, that redundancy can qualitatively change the computations carried out by a network. We prove that for both feedforward and feedback networks the simple duplication of nodes and connections results in more accurate, faster, and more stable computation. It turns out that “No, I did not see your tweet” creates a more accurate network. A neural network of humans processing whatever it is they are processing on a given day. And somehow that means the news comes to us. And oh ya, you should follow me on twitter here. 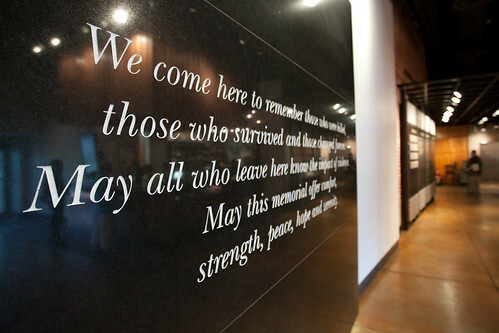 those who survived and those changed forever. 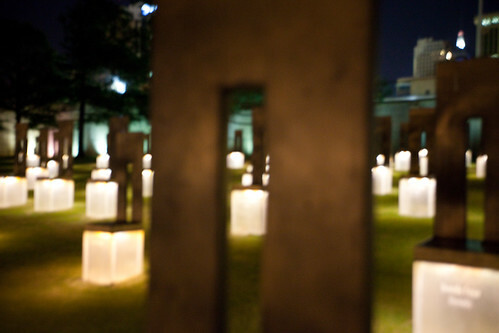 May all who leave here know the impact of violence. strength, peace, hope and serenity. 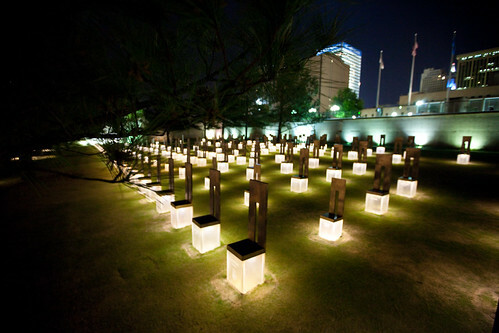 – Oklahoma City National Memorial. 15 years ago today. ARCHIVE POST. 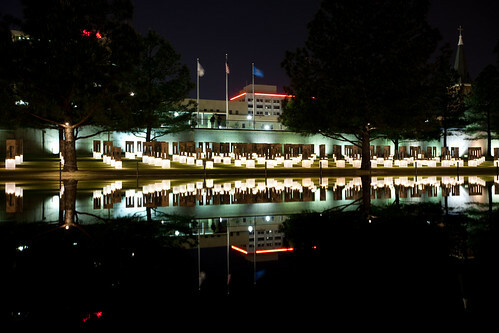 PLEASE COMMENT ON THE ORIGINAL ON CHRON. Yet there is something about the pursuit of happiness as an end goal that bothers me. I find the pursuit of happiness alone to be shallow — I don’t think it makes you happy long term. Money doesn’t bring happiness.Â Tiger Woods is worth close to a billion dollars, is married to a Scandinavian swimsuit model, and yet he still felt the need to sleep with an assortment of cocktail waitresses so that he could feel better about himself. Yes we all need money. We are capitalists as a country. We earn money. Is money the motivator? Not for me beyond a certain point. It’s this internal drive. I don’t think I will ever show upÂ at work without a fire in my belly and a drive to accomplish MORE. You take risks so you sometimes fail. When you fail you are unhappy. You get back up. That’s how it works. I can’t be described as walking around in “a state of happiness.” I am much more wound up than that. But my life has meaning because I take care of my family, which in turn makes me feel happy. I have surrounded myself with intriguing people who I deeply care about. My relationship with God is conflicted, but that is hardly surprising for aÂ Catholic Army Brat. My relationship with my kids could be better, but in my defense they areÂ called teenagers for a reason. I am approaching my 20th wedding anniversary which we willÂ celebrate in style. I could work out more, but I do work out. I am working on all of those things. They are meaningful and they require hard work. I have a damn good life, but what I am not is running around completely happy all of the time. My real issue is that I believe “the pursuit of happiness” isÂ misguided and superficial as an goal. Yes I said it. It’s shallow, people. We should seek meaning. If youÂ seek meaning then happiness may, or may not, follow. There are no guarantees. But to flip it around and seekÂ happiness first simply doesn’t work. Without first forming a clear idea ofÂ what you find meaningful and worthwhile, chasing “happiness” is like chasing a figment of your imagination.Â You will find theÂ proverbial cart, and then abandon it after a day or two when you realize there isÂ no horse attached and it’s useless. Seeking happiness as the end goal leads you to wander the desert until you find the NEXTÂ bright shiny object. This again makes you happy. Briefly. But unless you load it up withÂ pirated Plato and talk about it, it won’t bring happiness either, as theÂ it is just a thing. How many marriagesÂ fail because someone says “I am just not happy” as if marriage is supposed to be 100% happy? And are these folks reading interesting books, talking about them, and seeking the meaning in life? Yes clean out your closet if that makes you happy. But please let us not discuss your closet cleaning as meaningful conversation or life changing. Particularly lets not talk about the closet when our education systemÂ has eliminated shop class and ourÂ partisan politicians on both sides are putting their political parties over the people they represent. There areÂ meaningful big questions to consider. A recent study finds what we all once knew before our hectic lives made us forget: that like good barbecue or prime crude, the making ofÂ happiness takes time. Time enough, and world enough with others. According to Matthias Mehl, a psychologist at the University of Arizona,Â individuals who spend more of their time wondering about big questions, and doing so in the company of others, are happierthan those who wonder about the weather or John Edwards’ love child. Don’t worry, be happy. I have nothing against happyÂ LOLcats andÂ sports talk. They are great conversation starters.Â Deep meaningful questions can be derived from them. I enjoy these diversions. But they don’t bring happiness in and of themselves. Fewer hours at work to give me more time to read LOLCats will not in fact make me happier. Yet contemplating with friends whatÂ deep psychological need is met byÂ Internet memes may in fact make us happier. Meaning may help you avoid the quarter-life-crisis. Others are free to seek happiness as a goal even if I don’t think that is a worthy goal in and of itself. As for me I will continue to seek meaning with my family and friends. I may not get there, I may not find the meaning of life, but it takes time, andÂ seeking meaning is proven a better path than seeking happiness alone. And I intend to enjoy the thoughts and the journey of life. 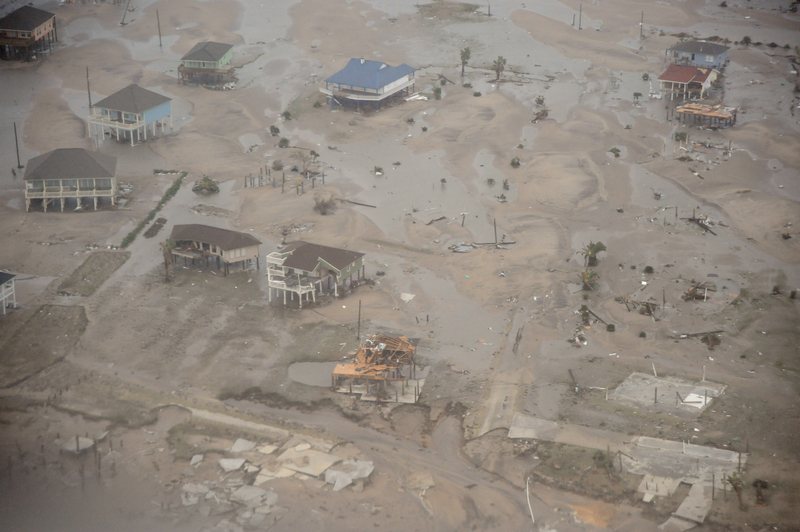 I’ll leave you with a video from my friendÂ Aaron who had it posted on his blog after Hurricane Ike. It’s his girls at the beach at his parents old beach house on bolivar. The video has meaning. And it makes you happy too.